I just got this great luggage lock from Erik Bag Co. I don’t know about you but I am always wondering where all my suit case goes and who could be getting into it when I drop it off at the luggage counter. This lock from Erik Bag Co gives me some piece of mind that my luggage will be locked and safe no matter where it goes or who has possession of it. This lock is TSA approved. It’s really easy to set up and put in your combination. Just slip it through the zipper holes on your suitcase and it’s safe and locked. It’s a durable lock that is secure when in place. I like it because it’s small but does a good job of keeping my items safe and secure. WE ARE ALWAYS WORRIED ABOUT OUR LUGGAGE WHEN WE TRAVEL. Most of users reports a Piece of Mind when the use the combination lock on their valuables. WITH THE 3 DIGIT LOCK IT IS VERY SIMPLE TO REMEMBER YOUR COMBINATION. Just 3 numbers, set your oun combination and you are all set to travel safe, no worries. 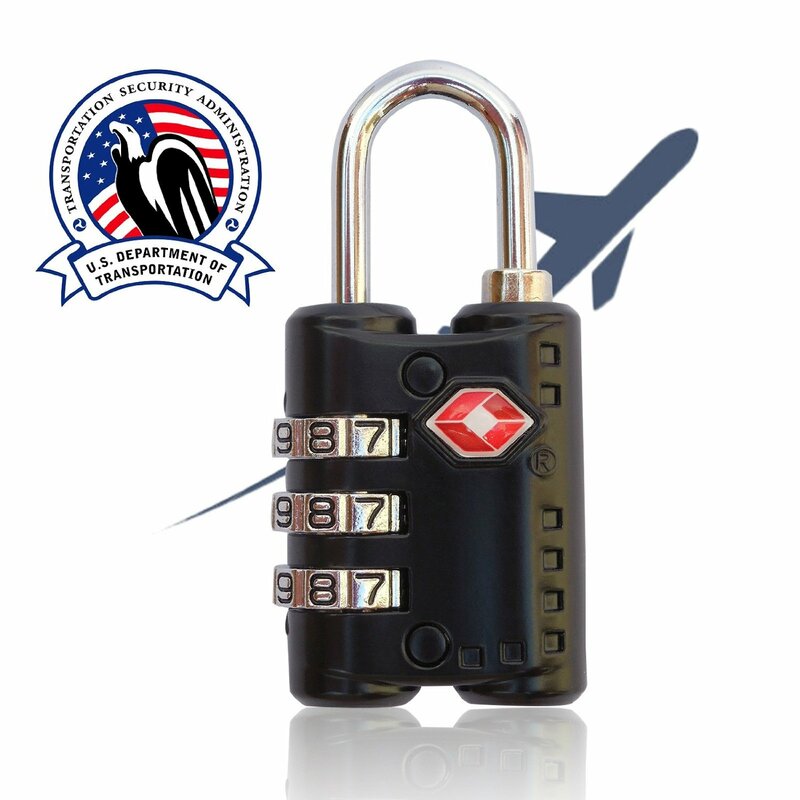 TSA APPROVED.This easy-to-use luggage lock allows TSA (Transportation Security Administration USA) agents to open it for searches and lock it back afterwards, without damaging your lock or your luggage. HEAVY DUTY MATERIALS. Made of zinc alloy and steel Resettable combination 3 large dials are easy to see and use Travel Sentry Approved Recognized by the Transportation Security Administration. When you order today, you’re protected by a life-time, no-questions asked money back guarantee and world class customer service! You can purchase this lock on Amazon!